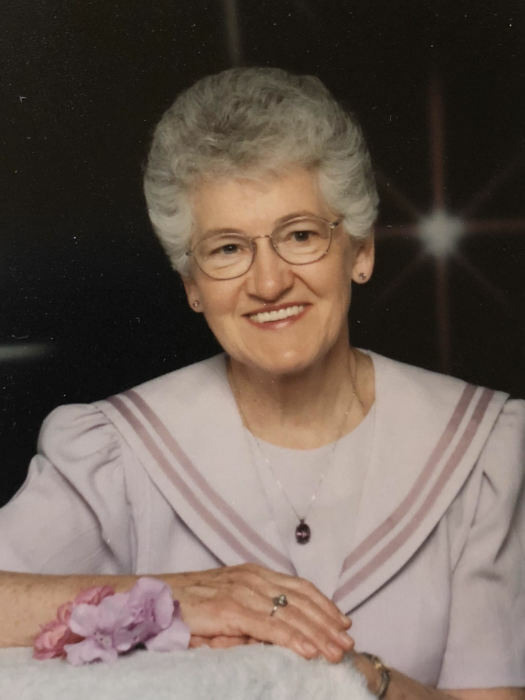 Betty May Denney Barrus, 87, beloved mother, grandmother and great-grandmother, passed away on Sept. 17, 2018. She was born Feb. 16, 1931 in Downey, Idaho to Joseph Boyd and Vivian Reynolds Denney , 4th of 6 children. Betty graduated from Blackfoot High school in Idaho in 1949 and married Neil Hunter Barrus in the Idaho Falls LDS Temple in 1951. From that day on her single minded purpose was the nurture and care of her husband and family. They had five children and mom spent her days employed at home using her homemaking skills, cooking, sewing, cleaning, gardening and preserving food, teaching children, and continually serving others. They spent 31 years in Coeur d'Alene raising their family and enjoying the beauties of Northern Idaho. Betty served in many church callings including Relief Society President twice. After retirement they served missions to Samoa and the genealogy library in SLC, Colorado Denver North, and the Nauvoo Temple. They relocated to Nampa, Idaho to be closer to family and spent many years as temple workers, traveling, and helping their kids with all kinds of projects. Betty loved to read and is known for her collection of Teddy Bears. She had a special spirit about her and all could feel it even when she lost the ability to communicate the last 2 ½ years of her life. Her family and the gospel were her life. She lived with her daughter Brenda Petersen in Grantsville, Utah for the last 6 years . Betty and Neil spent 64 years together before he passed away 3 years ago and they have left their family an extraordinary example of true love. Betty leaves behind their children Pamela (Rolf) Bitsch, Ron (Tanis) Barrus, Brenda (Dave) Petersen, Shauna (Mark) Comstock, Denney (Allison) Barrus, 19 grandchildren and 56 great grandchildren with one on the way. Betty is also survived by her sister Marjorie, and brother David. Funeral services will be held Friday, Sept 28, at 11 a.m. at the Grantsville 9th ward chapel, 415 W. Apple St. with a viewing starting at 9:30 that morning. Interment at the Grantsville cemetery. Services by Didericksen Memorial (435- 277-0500) www.didericksenmemorial.com.